Franchising. The risks and rewards. Starting out in business is never straightforward. Whether you simply dream of being your own boss, want to increase your earning power or you’re facing a change in circumstances, like a redundancy, knowing HOW to get started is often the biggest hurdle. This is what can make buying a franchise so appealing. Much of the hard work has been done for you. What could be better than walking in to a proven business? Why would you reinvent the wheel when you can set up a franchise that’s shown to turn a healthy profit, has all the kinks ironed-out and is backed with the buying power and support of a big company? 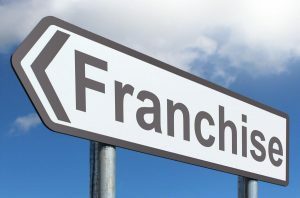 No matter if it’s food, retail or a garden care, if you do your research, get expert advice and mitigate the risks, buying a franchise can be a great investment. But, like any business venture, there are risks – real and significant. Do you have the experience to take on a large venture? Does your local area have the work to sustain your business? Are your personal assets structured in a way that protects them in case the business folds? At Welden & Coluccio Lawyers we handle many franchise contracts and have seen first-hand the rewards on offer and the pitfalls that await the unprepared. Because buying a franchise can be an enormous commitment – both personally and financially. It’s important to have a good understanding of the risks involved and what will happen if your significant investment in money, time and hard work doesn’t pay off. Before you enter into any contract to buy a franchise, you should consult expert lawyers and accountants. For a small investment, these professionals have the expertise and experience to review the proposed business contracts and see if it’s a good fit for you, and what the pitfalls are. Despite all the risks involved, incredibly, compliance checks by the Australian Competition and Consumer Commission show many prospective franchisees don’t seek any professional advice at all. Lawyers as a rule don’t offer much free advice, but most would agree forgoing professional advice is crazy. And, unfortunately, even though franchise contracts require you to seek professional advice before committing, there is the option to waive that responsibility. We, along with most reputable franchises, would never recommend you skip that advice. Buying a franchise can be a great way to secure your future. Just make sure you do your homework first.